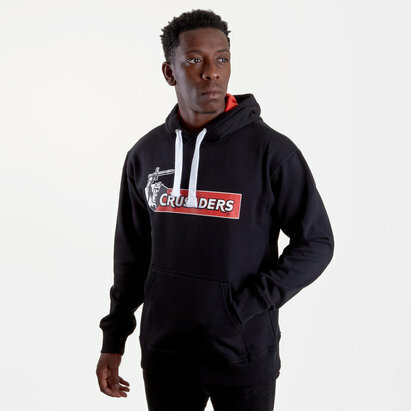 Go crazy for the Crusaders when you pull on this Crusaders 2019 Hooded Rugby Sweat In Black and Scarlet. 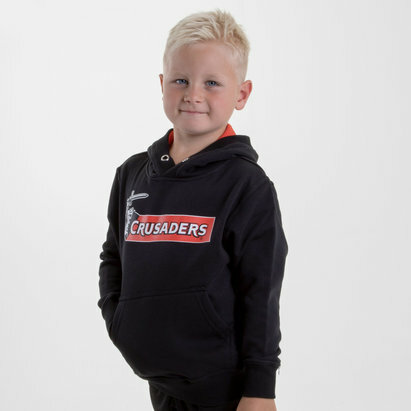 The Crusaders are a rugby union team from Christchurch who play their rugby in the Super Rugby league. They have won 9 titles (1998, 1999, 2000, 2002, 2005, 2006, 2008, 2017 and 2018). After being given the trophy to keep upon securing their fifth title, the Crusaders have continued to dominate winning the league for the past two seasons and in 2019 look to make it a third in a row. The Crusaders' name was chosen to reflect the crusading nature of Canterbury rugby. The club adopted Canterbury's traditional sporting colours of red and black, as worn by Canterbury. 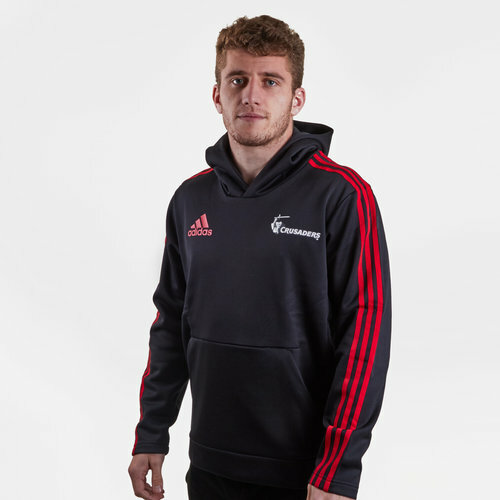 adidas are the Crusaders kit suppliers with this rugby-inspired hooded sweat paying tribute to the successful side. This sweat has been made from soft French terry fabric and comes in a regular fit making it wider at the body. This hoody comes in black with the adidas classic 3 stripe motif in red down the arms, using their traditional colours. The adidas logo is on the right whilst the club badge is on the left. The team's sponsor - bnz - is printed on the back.